Another of the classics that is still widely made today, this time from the sour family. All three books have a slightly different take on the same basic premise: sour, sweet, and cognac. I love me some sours (and enjoy a good Sidecar), so this is right up my alley. 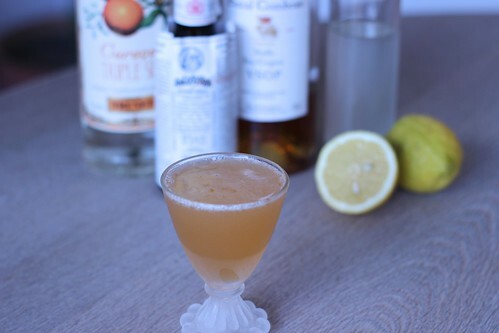 Lommebogen shakes things up with some Angostura (and extra sweetness with sweet and sour versus straight lemon juice). The Savoy plays with a different ratio, giving more weight to the cognac. As suspected, the Lommebogen version is pretty sweet, so it’s a good fit for people who aren’t the biggest fan of the sour in sours. I’m decidedly not one of those people. On the other hand, the Savoy version wasn’t quite sweet or round enough for me. Kind of like Goldilocks, I find the Café Royal version, with its equal portions, is just right for me. An easy to remember recipe that hits the mark.